QR Codes in the Classroom - What??? 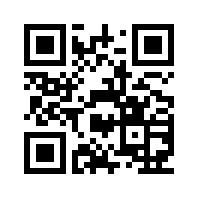 QR (Quick Response) codes are two-dimensional barcodes that when scanned quickly connect on your mobile device. 1. During the month of June 2011, according to a comStore study, 14 million mobile users scanned a QR code or a barcode. 2. According to mobithinking.com, there are an estimated 6 billion cellular subscriptions & 1.2 billion mobile web users worldwide. 3. Last April CBS reported that in 2009, 20 % of six to eleven-year-olds had a cell phone, with 70 % of 12 to 17 year-olds owning a cell phone. As more K-12 students are becoming the owners of smartphones, iPads & iPods, utilizing the technology at home & school is an easy way to engage them. We have found that by incorporating QR codes we can enrich the cross-curricular content, as well as reach parents and community members.